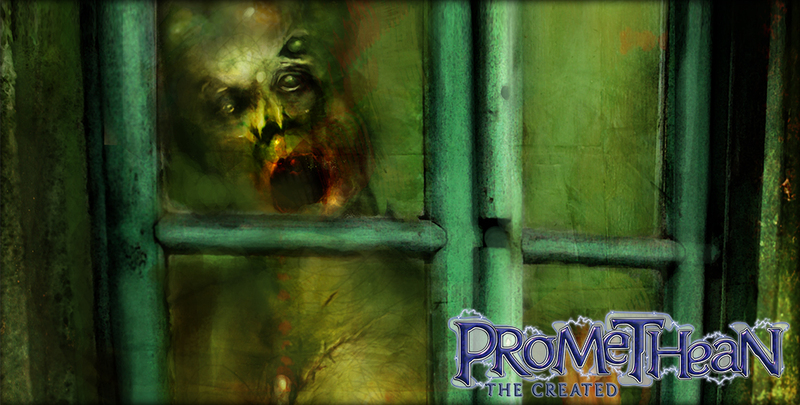 Promethean: The Created is a game about stolen lives. Prometheans are soulless corpses animated by a mysterious, alchemical force — the Divine Fire — stolen from the gods. They wander the dark places of the world, seeking what their creators denied them: humanity. They are pilgrims. The Created. They wander the world, sometimes alone, sometimes in the blessed company of their own kind, driven by memories of events and facts they never knew, all in the service of one Great Work… to be human. Promethean: The Created was first published in 2006, introducing a supernatural heretofore unseen by fans of the Chronicles of Darkness. Promethean has now been freshly reanimated from the remains of the old as a second edition including the Firestorm Chronicle, which tells new tales and builds on lessons learned in the past decade, including new Transmutations, a clearer guide to the Pilgrimage, and a new antagonist in the form of greedy alchemists. If Promethean sounds interesting to you, head over to our DriveThruRPG storefront to get Promethean: The Created 2nd Edition. Promethean merchandise is available via our RedBubble store.